Never mind the Arab Spring, the summer riots, the autumn anti-capitalist occupations and the looming winter of discontent. Forget about the deaths of bin Laden and Gadaffi, and the birth of Southern Sudan. Ignore the tsunamis, earthquakes, mudslides, potential nuclear meltdowns and the relentless retreat of glaciers and polar ice caps. Put from your mind, if you can, even the happy images of the royal wedding, including that arresting rear view of the bride’s sister. Because none of those was the key event of 2011. 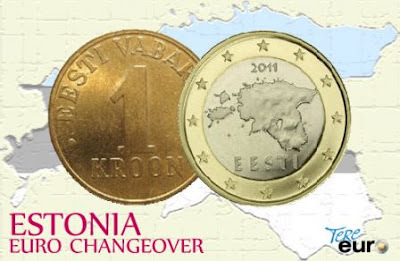 That took place all the way back on January 1, when Estonia joined the euro. The first instance in recorded history of a rat commissioning a fast launch to get it on board a rapidly sinking ship. The political class of Estonia are thus elevated to that pantheon of geniuses who can be relied upon to show the rest of us what not to do, alongside the Financial Times, the European Commission, the Labour and Liberal Democrat front benches, and virtually anyone called Bercow. A quick internet search confirms this with the telling headline “Estonian wind power sector faces rapid growth”. My top tip: keep a close eye on Tallinn to determine your business and investment strategies for 2012 and beyond.